PFS has partnered with USICEF to leverage funds for distributed solar power projects in the country. 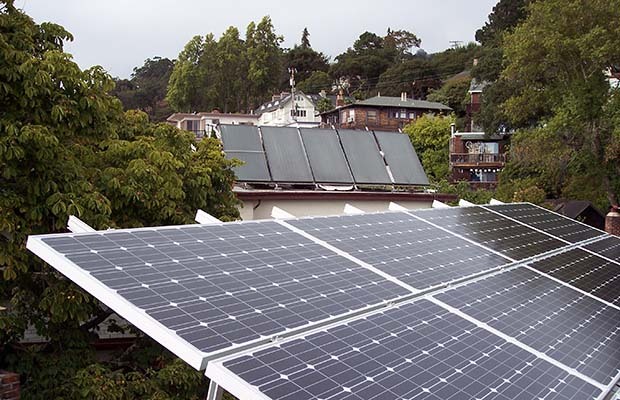 Infrastructure finance company, PTC India Financial Services (PFS) has partnered with the US-India Clean Energy Finance (USICEF) to secure funds for funding solar projects in India. “It is an innovative facility which presents PFS with an opportunity to finance and deploy high-impact development projects which can contribute in achieving India’s distributed energy target of 40 GW by 2022,” PFS Managing Director and CEO Pawan Singh said. “As part of it, we have partnered with USICEF to leverage these funds for the most promising, investment-ready distributed solar projects in India,” PFS said in a release. PFS has processed and sanctioned 3 distributed solar power projects with an aggregate debt amount of Rs 242 crore, of which approximately Rs 39 crore is outstanding in the books. The company is actively looking at new distributed solar power proposals being implemented by reputed developers under various schemes. “As one of the pioneers in the clean energy space, we have been actively exploring new opportunities in distributed solar,” Singh said. “Distributed solar energy is critical for India’s clean energy transition,” Dhruba Purkayastha, USICEF Director at Climate Policy Initiative said. Recently, Vice President of India, M. Venkaiah Naidu has called for the promotion of new and renewable energy in a big way. He said moving to renewable would not just ensure energy security but also protect the climate, reduce pollution. “Adequate growth in renewable energy would serve a dual purpose – firstly, it would contribute towards achieving energy security to the nation and it would address the environmental concerns, which need to be tackled on a war-footing,” he said. Pointing that connectivity and electricity were key to development, he stressed upon the need to address challenges such as pilferages in transmission and distribution.